These adorable dinosaurs are perfect for keeping your baby's clothes neat and organized. 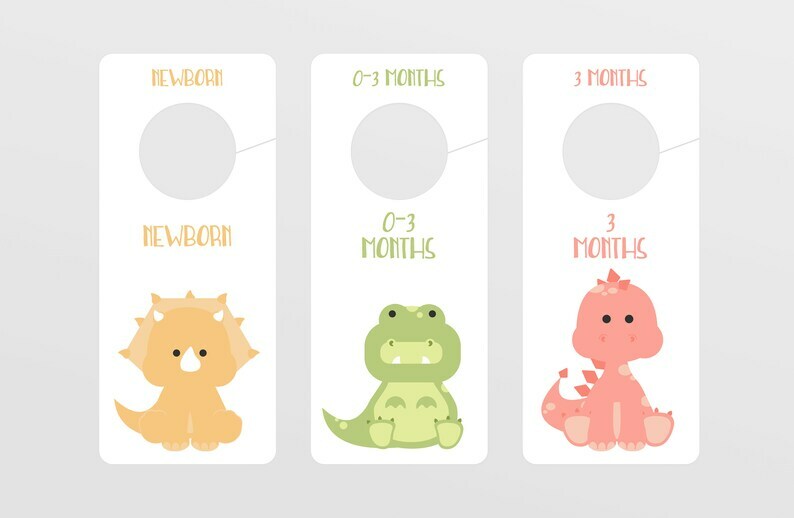 Nursery closet dividers are printable and feature 9 different dinosaurs from the goodnightfox.com animal collection. Cards range from Newborn through Toddler sizes. You can print both fronts and backs before you cut them out! 2 PDF Digital Files with 7 pages that you can download instantly upon purchase. (Note: This is a digital file -- no physical item will be mailed to you). For personal use only. Please do not use or print these illustrations for any other purposes. My daughter loves these cards!